Canoe Ridge Creations: a swappy package! i know i said i was going to wait and share my for the love of solids swap package once it had safely arrived in my partners hands. well that, and the fact i am so stinking excited with how this mini turned out! one thing my partner requested was a mini made with blended neutrals. if you follow along, this is something very new to me! but i actually loved working with this color palate (well, and i added a little color!). it's so fresh and calming. 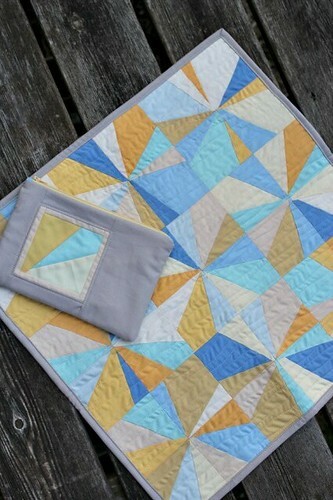 i went with this wonky starburst pattern (again, a stretch for me) and paired it with an organic wavy quilting pattern. totally a new favorite! i also made this little matching zippy pouch, because you can never have enough little pouches! :) inside are some solid goodies--but i won't spoil that surprise. if you get a chance, go check out some of the other great solid projects that are in the flickr pool. there's lots of yummy goodies! 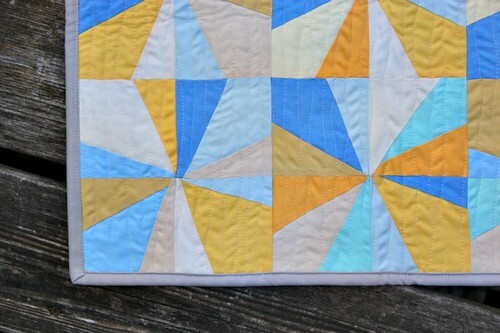 i love the wonky starburst, and i adore your color choices- great job stretching! SO beautiful! I love the blended neutrals with the splash of color. Nicely done! It looks so awesome! 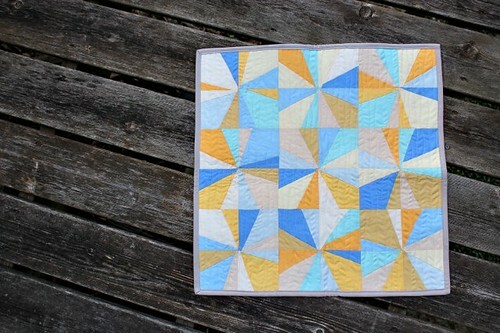 I think that wonky starburst would be cool in a big quilt too! ummm I am loving absolutely everything about this!! Sad its likely not coming to me :-( haha your partner is going to love this!! Super cute, love the pop of color. What a lucky swap partner. Love the color choices. What a fabulous swap package! i love the wonky starburst! looks like a great swap! Well, it is no longer on my doorstep, but in my house and I think it's fabulous!!!! I'm sorry that you had to wait so long to hear from me, this package was traveling for quite some time. 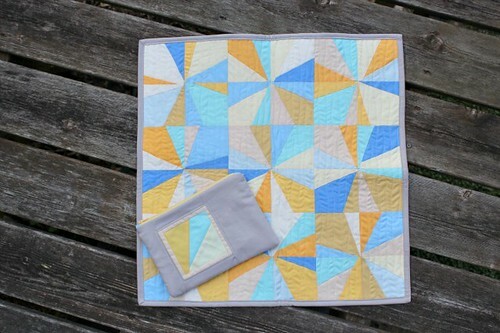 I love the quilt, the pouch (you are totally right, you can never have too many!) AND the awesome Kona charm pack. Thank you so much for the thought and beautiful work you put into the swap, both with my fabulous items and with organizing!